Something massive is lurking in the dark depth of the Blood Reef in Deep Wars. 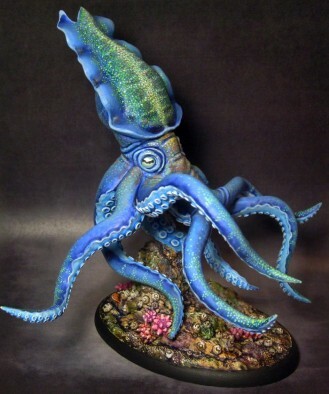 The end of March will bring forth the DeepStar Kraken from Antimatter Games. 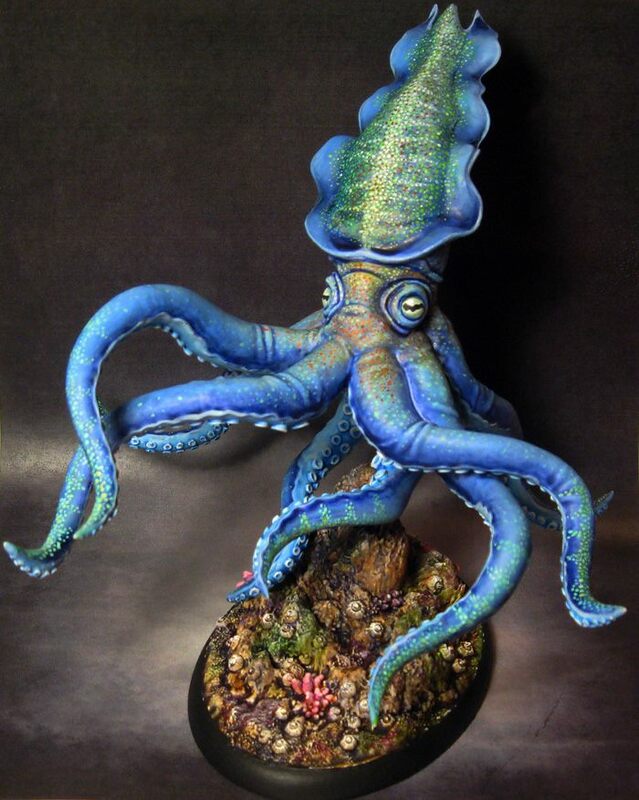 This terrifyingly beautiful creature is a massive 180mm in length and can be used as predators to hunt down warbands, or can be summoned by a Sea Shaman for battle. Is it just me, or do you suddenly feel the need to have a Sea Shaman in your warband? As if the sheer size of this creature isn't enough, they are quite beautiful to look at and incapacitate their prey with hypnotic lights right before they feed. 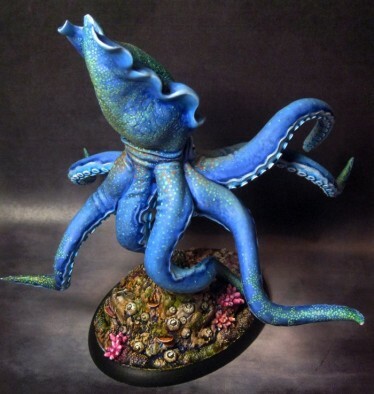 What do you think of the DeepStar Kraken? "...they are quite beautiful to look at and incapacitate their prey with hypnotic lights right before they feed!" They have Released the kraken & looks great. The can never be enough Krakens around. Just decided I needed a kraken. 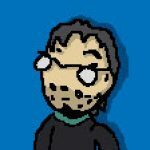 I should also say, I love it!